ORLANDO, FLA, UNITED STATES, February 6, 2019 /EINPresswire.com/ -- Jennifer Nyiri of Alyce n Maille (http://alycenmaille.com) is pleased to announce that actress Ellen Tamaki wore the designer's handcrafted stainless steel Eclipse Pendant1 on Episode 111 of CW TV's "Charmed." The episode aired January 27, 2019. 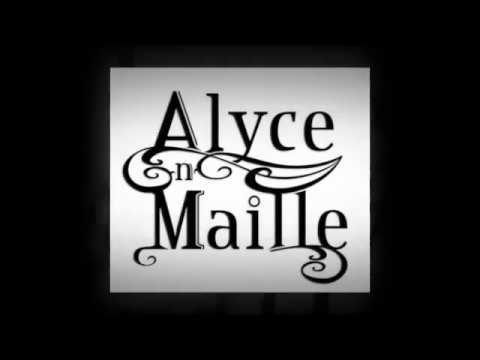 This marks the 11th television placement for Alyce n Maille jewelry, which has previously appeared on “Arrow,” "Bones," "Jane the Virgin," "The Originals," and "The Vampire Diaries." The necklace retails for $35.00 and is available to purchase2 at alycenmaille.com. Alyce n Maille has become a popular jewelry resource for Hollywood stylists. Most recently Emily Bett Rickards3 (playing Felicity Smoak) wore Alyce n Maille’s Sweet Pea Necklace on episode 705 of The CW’s “Arrow.” Justina Machado ("Six Feet Under," "Queen of the South") wore a pair of Turquoise Crystal Chandelier Earrings on Episode 403 of “Jane the Virgin.” Also on “Jane the Virgin,” Golden Globe winner Gina Rodriguez wore a Crystal and Gold Bracelet on Episode 314 (air date March 20, 2017) and Carrie Madsen (playing fertility clinic director Diane) wore a Blue Twist Necklace on Episode 122.